Pear is a versatile WordPress theme with a lot of options to create your site with ready demos or to customize it further. It is fully responsive and contains all important tools for unlimited creativity and efficient business representing. Pear includes 25 prepared-for-use templates for landing pages or main pages of your WordPress site. Each template is executed in compliance with SEO standards and is completely mobile responsive. Among the templates you will find ready-made pages for almost any subject of the site — from a personal blog about cooking to the corporate portal of a medical institution. Ready demos include more than 150 unique design components, which you can change at your discretion with a simple drag-n-drop editor. Pear includes such important plugins as the Visual Composer, Slider Revolution, Go Pricing, Easy Social Share Buttons. You save $97 in comparison with a separate purchase of each of these plugins. In addition, you save your time searching for the necessary tools and installing them. Pear is fully compatible with important services such as WooCommerce, UberMenu and WPML. The features of these services will allow you to easily open an online store on the WordPress platform, decorate it with convenient and functional menus and automatically translate the site’s content into any language of the world. Professional technical support will allow you to specify any nuances of setting up and maintaining the WordPress site by means of the Pear theme using the private tickets system. 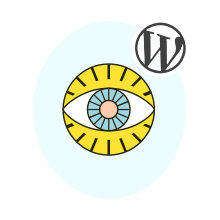 If you are a beginner in WordPress administration, this feature will give you confidence in working with your new site.